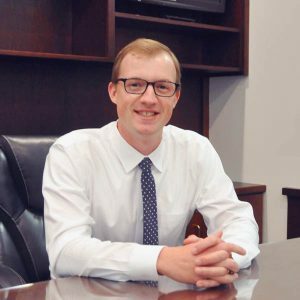 Joe Fearey | Moore Law Group, P.C. Joe Fearey – Moore Law Group, P.C. Joe Fearey is an Oregon native, and has worked exclusively in the legal industry since 2011. Prior to joining Moore Law Group as Of Counsel, Joe worked as an associate attorney at a well-known estate planning and business law firm in downtown Portland, where he gained significant experience in estate planning, probate, and a wide variety of transactional business matters. ​Joe’s practice is focused in the areas of estate and tax planning, trust administration, probate, divorce, and transactional business services for small businesses and startups. Outside the office, Joe enjoys trail running, hiking, and backpacking with his wife Elizabeth and their dog. During the summer months, Joe also competes in long distance trail running races throughout the Northwest.